Which photo do you wish you had taken with a better camera? Whether it's because you were taking a photo in a rush or just didn't have a better camera on you, are there any photos you think that that the camera limited the end result? For me, it would be this photo. 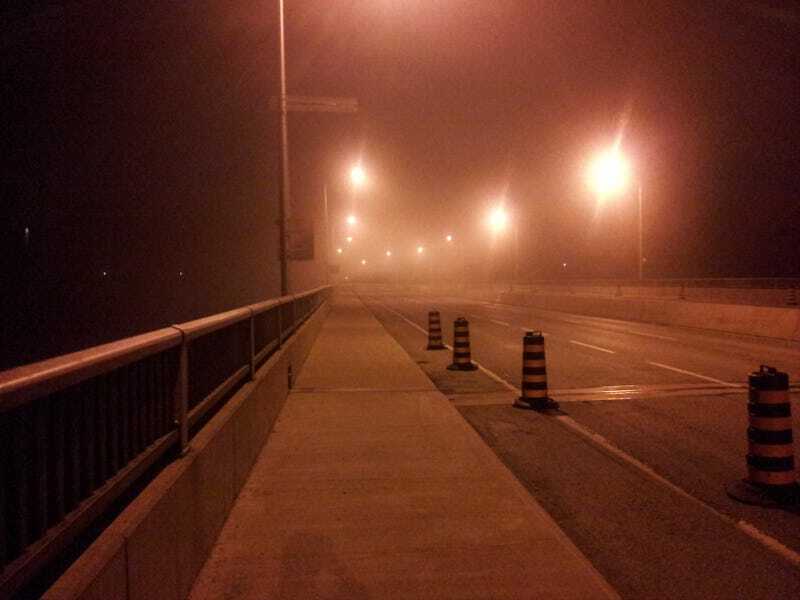 It was around two in the morning and I was walking home from a friend's place, when I crossed this bridge. It was a foggy and humid night, causing it to be a lot darker than normal (I couldn't even see the buildings I can normally spot that are a few kilometres away, even with their bright lights), so I snapped up this photo. I like the feeling of it, since normally it's covered in traffic, but I think it could have come out a lot better if I hadn't used my phone (a Samsung Galaxy S Glide).